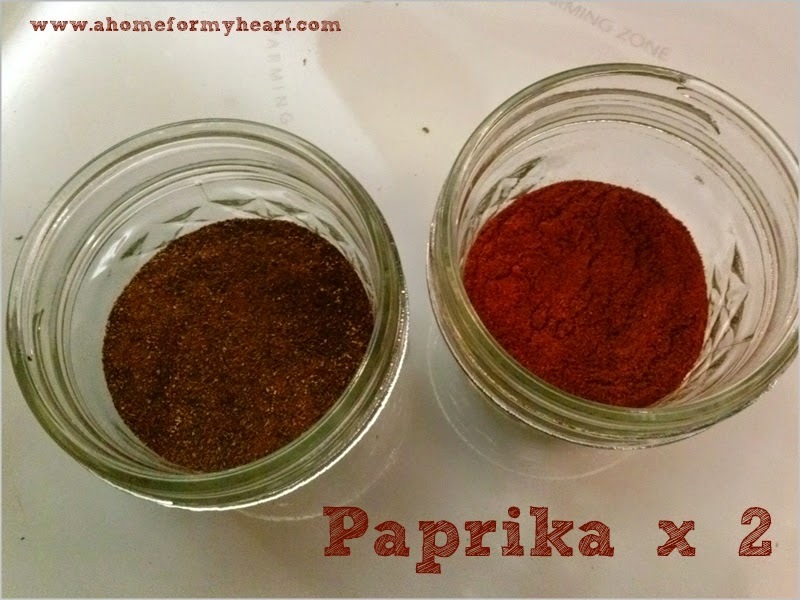 a home for my heart: Spicy! 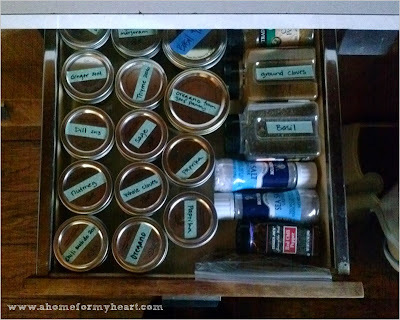 I cleaned out the spice drawer today. I've been wanting to put the spices in 1/4 pint mason jars with washi tape labels for months! I finally did it! Oreo helped. 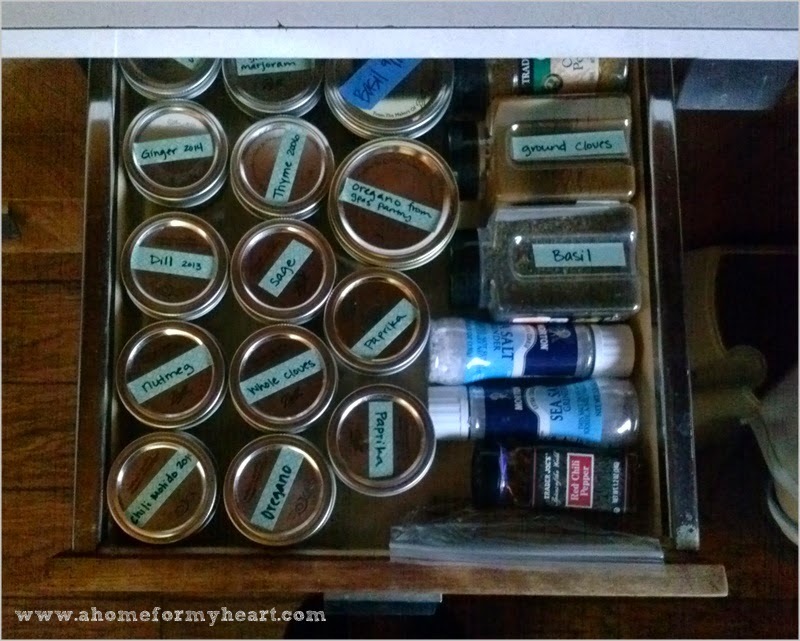 We inherited Grandpa's spice cupboard when we moved into his house after he died, so we found a lot of multiples. Thyme: I always ask if we even have any and Lost Boy says, Yes! But it is from 2006. I think we need to get new thyme. 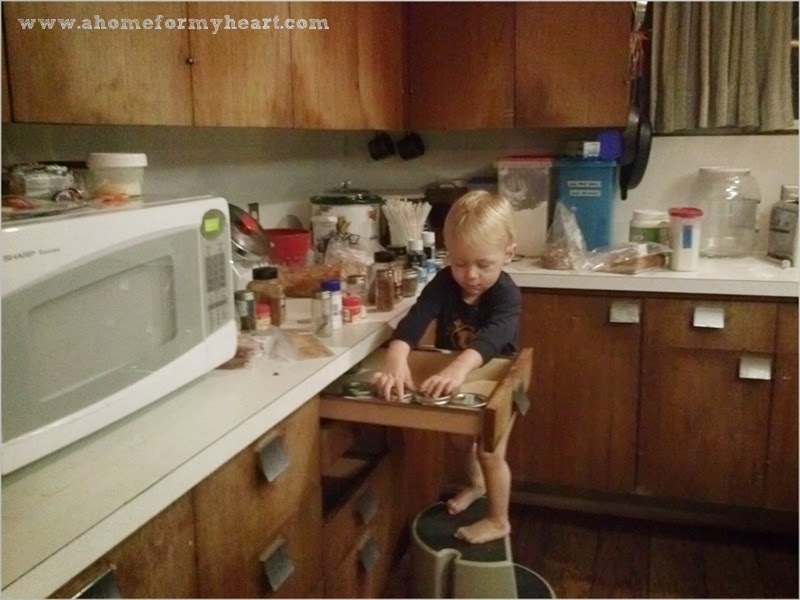 categories: 50% less., food., Grandpa's house., household adventures., organizing. And you asked what to use cream of tartar for... My snickerdoodle recipe and my favorite drop biscuit recipe calls for it. And if you run out of baking powder, you can mix 1 tsp baking soda with 2 tsp cream of tartar. It's just an acid that reacts with the baking soda to create the leavening effect. Thanks! I might have to get your recipes so I can use up my cream of tartar! And is mixing cream of tartar and baking soda how baking powder is made? Yeah, I'll have to type them up and share. That's what I understood when I looked it up.